Ian Tyson’s Four Strong Winds is viewed by many as Canada’s unofficial national anthem, a tale of Canadian migration to Alberta in search of work. Today Alberta continues to draw Canadians in search of work. But it is also a magnet attracting Canadian families with autistic children in search of its government funded autism treatment. In neighboring Saskatchewan meanwhile government funding for autism is virtually non-existent. In Parliament the Scott-Stoffer private member’s motion calling for a National Autism strategy to deal with this national health crisis was passed while the Shawn Murphy bill seeking inclusion of autism treatment under medicare was defeated by the Harper Conservatives and the Bloc Quebecois on spurious jurisdictional arguments. Canada would not have a national medicare system at all if this feeble rationalization was employed consistently. Indeed why do we even have a federal Health Minister, at present Tony Clement, if the federal government has no role to play in health issues? The reality is that prior to the election of the Harper Conservatives Canadians had long recognized the need for federal provincial cooperation to address health issues of national magnitude that might be beyond the ability of smaller or poorer provinces to address. 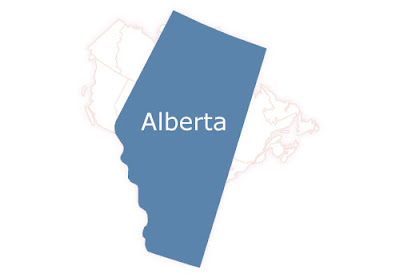 To most Canadians the hundreds of studies documenting the effectiveness of ABA in treating autism should be enough to justify extending a federal hand to ensure that Canadians do not have to move to Alberta to seek treatment for their autistic children. To most Canadians the fact that 47-50% of autistic children can be rendered indistinguishable from their peers by school age, with intensive behavioral intervention, would be enough to justify federal involvement. For most Canadians the improvement in quality of life, the increased ability to communicate, to function in society, to avoid self injurious behavior would be compelling motivations justifying an effective national autism strategy. Since Stephen Harper is Prime Minister though a different argument, one which does not rely upon empathy or compassion, must be found – studies show that autism treatment saves governments very substantial sums of money, in reduced government services, over the life of an autistic person. How about it Mr. Harper, how about offering a real national autism strategy to address Canada’s autism crisis? You have clearly said no. Still I wish you’d change your mind, if I asked you one more time. Alberta’s coverage of an intensive therapy for children with autism is prompting some families to move to the province to receive additional care for their children. The therapy – known as intensive behavioural intervention – is time consuming and expensive, but parents like Kim and Mike Stafford say it’s worth it. The Moose Jaw couple moved to Calgary 18 months ago because Alberta’s health care system pays for the therapy, which they say has led to a big difference in their son. When six-year-old Trey was diagnosed with autism, a developmental disorder which can be accompanied by severe problems with social interactions and language, three years ago, it seemed he had retreated into his own world, his parents say. However, since he’s been involved in intensive behavioural intervention, his progress has been remarkable, they say. For example, although now Trey spends part of each morning spelling words, he could barely even say them a year ago, Kim Stafford said. “Now he knows all the kids’ names in his class. He can write down the names, he can spell them. It’s really wonderful to see,” she added. The treatment involves speech therapy, physiotherapy, music and games – between 20 to 30 hours per week. It costs around $60,000 per year. The Saskatchewan Health Department would only pay for one hour a week, which the Staffords say was inadequate, so they moved to Alberta. Almost immediately, Trey began receiving the full 30 hours, the Staffords said. Roger Carriere, executive director of the Saskatchewan Health Department’s community care branch, said the therapy is expensive and there are questions about its effectiveness. He also noted there are many other priorities competing for Saskatchewan’s health dollars.